Former Warner Music U.K. Managing Director Korda Marshall signed hotly-tipped Australian act The Temper Trap to the newly re-launched Infectious label in 2008. Marshall who started the label back in 1994 signed and/or licensed acts such as Muse, Ash, Paul Oakenfold and Garbage stated, "Having spent the last six years working with a big organization where I had a great time and learned a lot, I'm incredibly excited about going back to running an independent label." Retaining a majority interest in the company, Marshall has joined with Michael Gudinski, Founder, Mushroom Records and Chairman, Mushroom Group of Companies as well as sports and theatre entrepreneur Michael Watt. 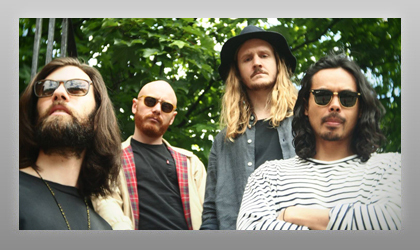 The Temper Trap, the first signing to Infectious, generated a huge international industry buzz after their early development support from A&R Worldwide and industry showcase in October 2008 at MUSEXPO Europe, which Marshall and many others attended. Danny Rogers, manager of The Temper Trap stated, "Thanks so much to Sat Bisla and his A&R Worldwide team for helping tell the world about the band and ensuring they had a huge amount of attention at the recent MUSEXPO Europe 2008 conference." Sat Bisla, A&R Worldwide Founder/President adds, "It's been an absolute pleasure to work with such a proactive manager such as Danny Rogers, Liberation's Damian Slevison who originally sent me the The Temper Trap demos back in 2007 and such a talented band such as The Temper Trap. I'd also like to thank the A&R Worldwide team [Monte Malone and Joe Arnold] for working with me to ensure The Temper Trap garnered the right support and development, which has helped The Temper Trap generate early traction in the US and visibility in Europe including key interest pre, during and post MUSEXPO Europe 2008."